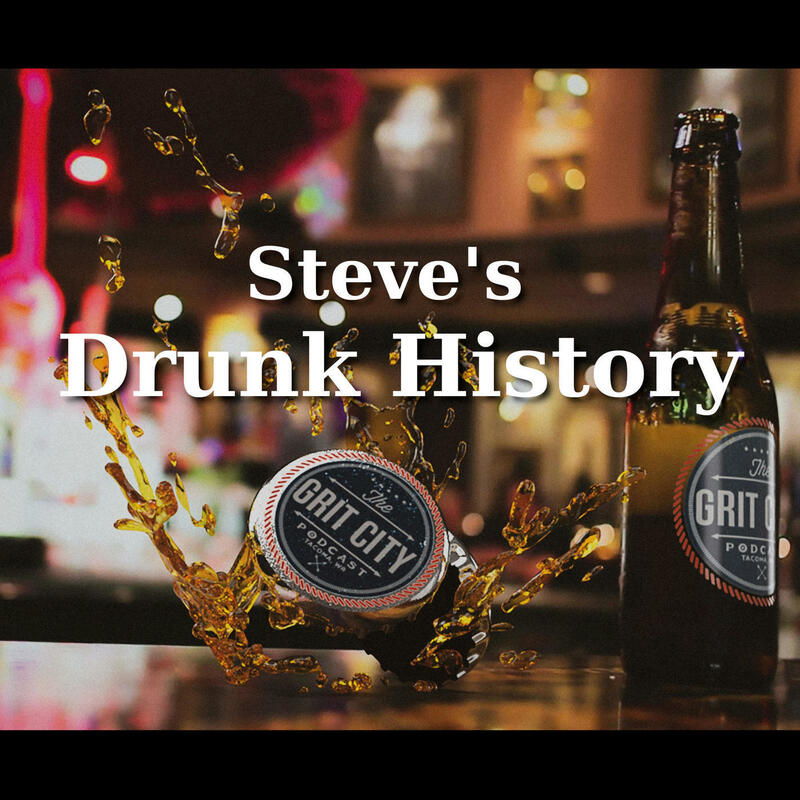 The Grit City Podcast: Drunk History with Steve! On this episode, Steve Dunkelberger rejoins the guys to talk Drunk History. Steve Dunkleberg has been a working journalist for more than 20 years at various publications around the Puget Sound. In addition to being a journalist, he is also a judge for the Society of Professional Journalists National Sigma Delta Chi Journalism Awards. 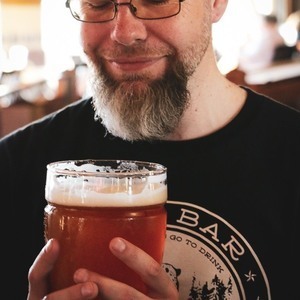 He has also has given lectures in the area on issues facing journalists, is a member of the Knights of the Pythias, and offers Drunken History tours of Tacoma. Steve has written two history books on the city of Lakewood and is working on one about McNeil Island as well as had several of his historical articles published on Historylink.org and in Columbia magazine. 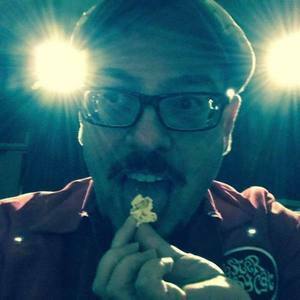 His past GCP episodes are Episode 10, a Best Of on Jake Bird, Episode 17 where the guys get to tour The Knights of Pythias’s Commencement Lodge #7, and Episode 44 where they discuss The Maury Island Incident. 1:33 – Brogan kicks off the show greeting Steve with an impromptu jingle, the team shares how people can find them online, and converse about friends they know that still use AOL. Brogan talks about his upcoming trip to Reno, Steve mentions his travel musts being a fanny pack and a bran muffin, and the different types of pens he carries. The groups discusses their opinions on girls allowed in Boy Scouts and Steve talks about his Drunk History tours around Tacoma. 14:20 – Steve shares his recent bookings of talks at retirement homes around PNW, the legendary musicians that have come from Tacoma, and the reason behind why most songs are 3 – 4 minutes long. Steve shares when his next book will be released, gives a thumbnail sketch of the history behind McNeal Island, and what the state currently uses it for. Brogan preps steak tacos, Steve talks about spending the night in Charles Mansion’s old cell at McNeal Island during the time Steve did prison ministry, and they cover the recent 35th anniversary show of the band Girl Trouble. 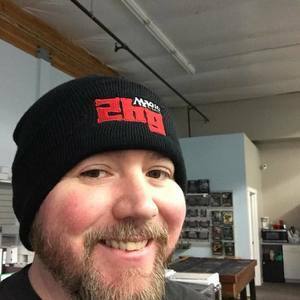 38:34 – Steve talks about what’s been going on at the Knights of the Pythias, what they’re doing on St Patrick’s Day, and they talk about the Hunt A Killer Subscription box. 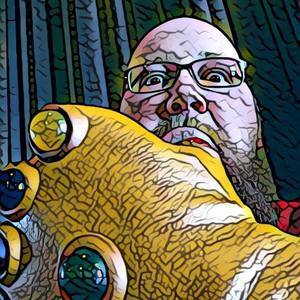 Steve discusses Pythia’s social knights, Brogan describes the steak taco’s he’s cooking up, and Scott talks about Tacoma’s Manuscript Museum. Steve explains how historical documents are preserved, hidden gems in the area of that people may not now about, and chat’s about how Fort Nisqually was moved during the Great Depression from Du Point to Point Defiance. 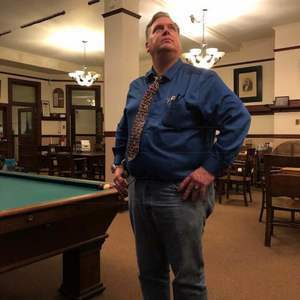 58:40 – Steve tells the guys about his recent first time as a substitute teacher, how Tacoma is the city of destiny just as much as it’s the city of tragedy, and dives into the famous ranger shooting that happened September 23rd, 1989. They talk about ‘Safe Streets’ being formed right after that happened, housing disparity going on in Tacoma, and Scott mentions the web series show ‘Hot Ones’. The show ends with Steve sharing where people can find him online. Thank you again Steve for joining the guys again and sharing, new, amazing history!